She was a working mother, employed by Dr. Harry Hutchins, Buford Memorial Hospital, and the Tannery Row Shoe Company making shoes for the military. She retired from Georgia Boot located in Flowery Branch, GA, totaling over 60 years of work history. 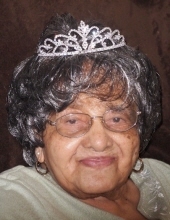 She was a devoted member of the Union Baptist Church where she sang in the choir and served on the mother’s board and was honored as the oldest member of the church on several occasions. She loved to crochet and each of her children own a handmade quilt crocheted with love from Mother. She also loved to sing and watch old movies. She leaves to cherish her memory and legacy five devoted children: Vernon Maddox Jr (Sherry)of Buford, GA; Baxter Maddox Sr. (Mary) of Atlanta, GA; John A. Maddox Sr (Emily) of Buford, GA; Betty Maddox of Buford, GA and Bishop Don Maddox (Sheryl) of Douglasville, GA; and a host of Grandchildren, Great grandchildren, nieces, nephews, cousins and friends. The family would like to make mention of a few special friends; Sunya Peebles, Ethel Grier, Rita Parks & Lori Parks of Buford, all of whom made her 101 years of life a joy. To send flowers or a remembrance gift to the family of Annie Laura Maddox, please visit our Tribute Store. "Email Address" would like to share the life celebration of Annie Laura Maddox. Click on the "link" to go to share a favorite memory or leave a condolence message for the family.